Jamie Reign was born twelve years ago, on the first day of the Chinese Year of the Dragon. This supposedly auspicious start in life hasn’t been much use to him, living a loveless existence with his abusive father, Hector, on a salvage boat. Jamie’s mother Mayling died on the day he was born. When Jamie inadvertently summons some fiery orbs from the air to tackle some local bullies, he doesn’t understand that he has tapped into The Way, the universal energy source, and in doing so he sets off a chain of events with unforeseen consequences. Whisked away by the mysterious Mr Fan to the Chia Wu, a school for students with special abilities, Jamie is taken under the wing of the legendary Kung Fu Master Wu. It is believed by Master Wu and his staff that Jamie is the Last Spirit Warrior, and as such his life’s purpose is to right the dreadful wrongs (climatic and political) taking place in the world. But not everyone believes so - and Jamie himself has doubts. What use is a Spirit Warrior who is hopeless at Kung Fu? Jamie Reign is a kid you can’t help but feel sorry for – between his drunk dad forgetting his birthday, and the local villagers rejecting him because of his half English, half Chinese background, he’s not having a great time of things. But that all changes when he accidentally unleashes an ancient evil that puts his dad’s life at risk, and the only way to put things right is (of course) to become a kung fu master. With its fight scenes straight out of a Jackie Chan movie, there’s no doubt that Jamie Reign will please even the shortest of attention spans. 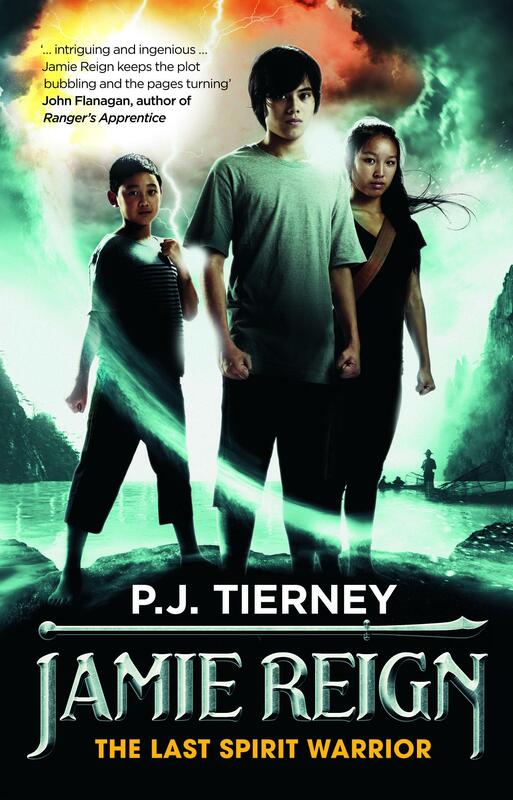 Debut author Tierney also does a fantastic job of bringing to life the world of Chinese mythology – Percy Jackson fans, make sure you take note of this inventive series. And while the Percy Jackson comparison is inevitable, Jamie Reign feels like it’s the next step up for readers who are looking for something a bit more challenging. With its well-rounded cast of characters, brilliantly drawn world and exciting plot, there will no doubt be many readers eagerly waiting to get their hands on book two.